1.9 km from Kingsford Smith Intl. 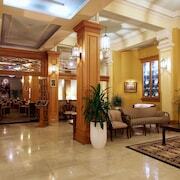 Situated in Mascot, this hotel is within 6 mi (10 km) of Enmore Theatre, Coogee Beach, and Maroubra Beach. Royal Prince Alfred Hospital and Royal Randwick Racecourse are also within 6 mi (10 km). Domestic Airport Station is 10 minutes by foot and Mascot Station is 17 minutes. 2.7 km from Kingsford Smith Intl. 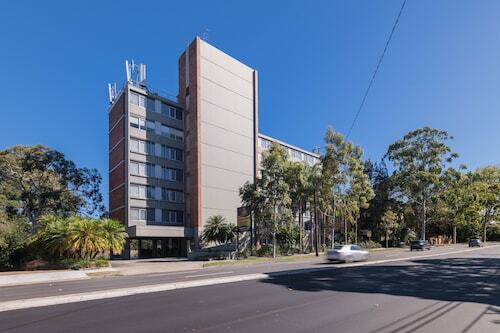 Situated near the airport, this hotel is within 3 mi (5 km) of Enmore Theatre, University of Sydney, and Royal Prince Alfred Hospital. 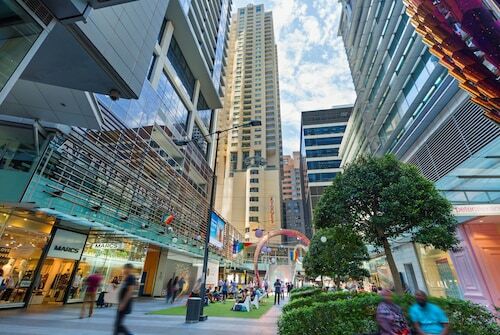 Broadway Shopping Center and University of Technology Sydney are also within 3 mi (5 km). Sydney St Peters Station is 13 minutes by foot and Mascot Station is 25 minutes. 13 km from Kingsford Smith Intl. 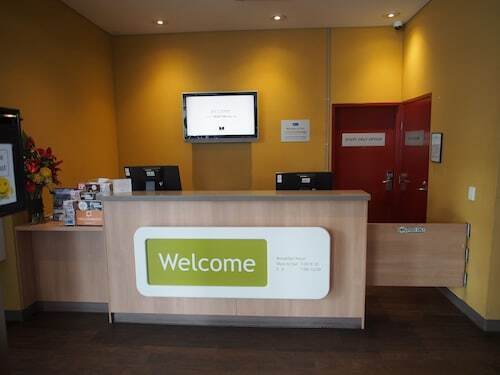 Situated in Sydney Olympic Park, this hotel is within a 10-minute walk of ANZ Stadium and Qudos Bank Arena. Sydney Showground is 0.5 mi (0.8 km) away. Sydney Olympic Park Station is 10 minutes by foot. 8.3 km from Kingsford Smith Intl. 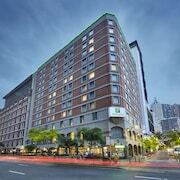 Situated in East Sydney, this hotel is within a 10-minute walk of Crown Street and St Vincent’s Hospital. Hyde Park and Australian Museum are also within 15 minutes. Kings Cross Station is only a 5-minute walk and Museum Station is 16 minutes. 0.3 km from Kingsford Smith Intl. 8.8 km from Kingsford Smith Intl. 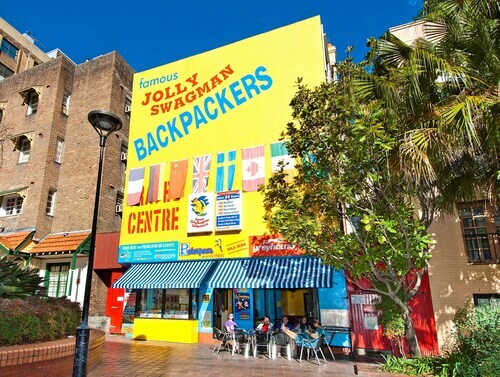 Located in the heart of East Sydney, this hostel is 0.8 mi (1.3 km) from Royal Botanic Gardens and within 3 mi (5 km) of Sydney Opera House and Sydney Harbour Bridge. Kings Cross Station is only a 5-minute walk and St. James Station is 20 minutes. 7.7 km from Kingsford Smith Intl. 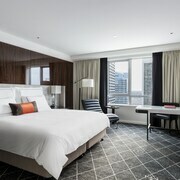 Located in Sydney Central Business District, this hotel is within a 5-minute walk of Castlereagh Street and Hyde Park. Capitol Theatre and Sydney Town Hall are also within 10 minutes. Museum Station is only a 2-minute walk and Town Hall Station is 6 minutes. 14 km from Kingsford Smith Intl. Situated in the business district, this hotel is 1.7 mi (2.7 km) from Royal North Shore Hospital and 2.6 mi (4.1 km) from Mater Hospital. 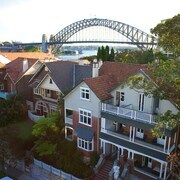 Luna Park and Sydney Harbour Bridge are also within 6 mi (10 km). Sydney Artarmon Station is 14 minutes by foot and Sydney Chatswood Station is 20 minutes. 12 km from Kingsford Smith Intl. 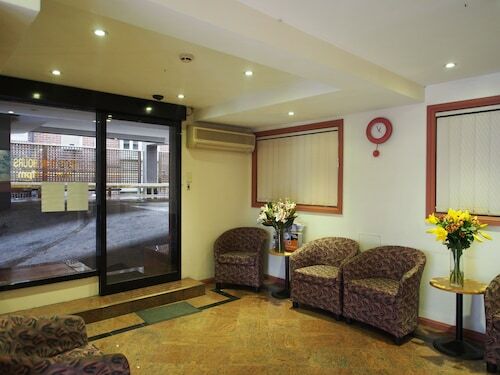 Situated near the airport, this hotel is within 9 mi (15 km) of Bankstown Golf Club, Qudos Bank Arena, and DFO Homebush. Warwick Farm Racecourse and ANZ Stadium are also within 9 mi (15 km). Sydney Bankstown Station is 12 minutes by foot and Sydney Yagoona Station is 27 minutes. Located in Sydney Eastern Suburbs, this motel is within 1 mi (2 km) of Woolloomooloo Wharf, St Vincent’s Hospital, and Crown Street. Hyde Park and Royal Botanic Gardens are also within 2 mi (3 km). Edgecliff Station is 6 minutes by foot and Kings Cross Station is 16 minutes. Sydney Airport needs no introduction as the gateway to one of the world's most exciting cities. But did you know it's only 9 kilometres south of the CBD and in easy reach of the best attractions the Harbour City has on show? Cliff-lined beaches, a shimmering harbour, world-class dining, fantastic shopping, and vibrant nightlife are but a small taste of what's in store. 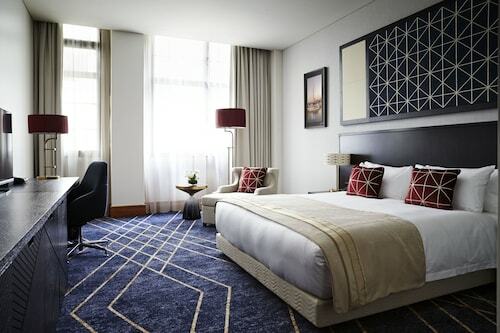 Booking one of the unbeatable Sydney Airport hotel deals puts you front and centre to explore your surroundings and learn why Sydney is consistently voted one of the world's greatest cities to visit. The airport train can whisk you to Circular Quay for a day spent admiring the famous Opera House and Harbour Bridge, sharing fish and chips with seagulls by the bustling ferry terminal, or taking in a hip exhibition at the Museum of Contemporary Art Australia. Want to feel the sea breeze in your hair while you try to tame a monster wave? Learn to surf in exhilarating Pacific Ocean swells at Manly or Bondi beaches. If you’re planning on getting in and out quickly, reserve one of our Sydney Airport packages and stay near the tarmac. Crossing the ditch to Sydney Airport is easy and cheap with Wotif. 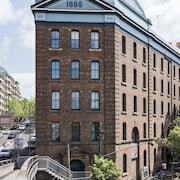 Along with best-value Sydney airport hotels, we can find you cheap flights to Sydney. 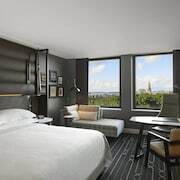 From Sydney Airport accommodation for business travellers to boutique pads for vacationing visitors, you will always find what you want at a price you can afford. Sydney has a wealth of buses, trains, and taxis, or use the extensive ferry network to tour the harbour and its many urban villages. If you want to explore out of town, book a cheap and trusted car hire deal through us. Get the best deal on a Sydney escape with Wotif today. Is there a hotel in Sydney Airport? 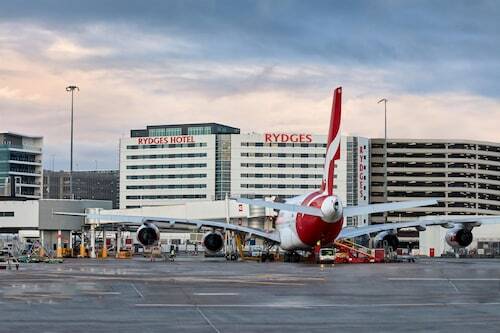 The Rydges Sydney Airport is situated at Sydney’s Kingsford Smith International Airport. With a 24-hour front desk, an airport shuttle and free Wi-Fi, this luxury hotel will cater to your every need. 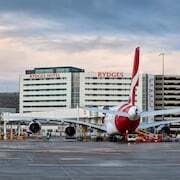 The Mantra Hotel at Sydney Airport is another option in the main terminal vicinity. Kick back and enjoy amenities like the 24-hour front desk. Need a more affordable option? 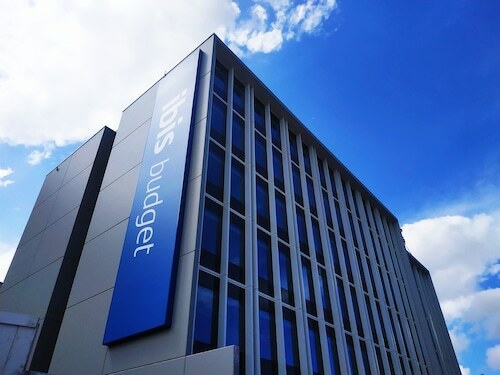 Check out the ibis budget Sydney Airport, which is also located within the main terminal vicinity. During your stay, you’ll have access to free Wi-Fi and a 24-hour front desk. Hotel was elegant with a unique design. Room was spacious, clean and with nice decor. We don't usually bother with hotel dining, but buffet breakfast option was excellent. Only gripe, is no off street area to drop off/load/unload, but a minor inconvenience for a quality hotel.